CasinoBonusNews → Casino banking → "Online casinos accepting Skrill (moneybookers) deposits"
Moneybookers, also known as Skrill, is an e-wallet company that caters to online gamblers and casinos looking for secure and amazingly fast ways of getting money from one place to another. Sure, the company transfers money for other reasons as well, but the ease for which is helps out gamblers is the main reason customers flock to it. Like other e-wallets, Skrill lets almost anyone sign up for an account and will accept money by check, credit card, wire transfers or direct bank transfers. Then, the account holder can choose how to use their own money without worrying about compromising their bank information at a Web site they don’t know very well. The original name for the company is Moneybookers, but it is currently going through an overhaul and rebranding, changing over to the name Skrill. As a result, you may see either name when looking through a casino’s list of the types of banking options it offers. You may even see it written as Moneybookers/Skrill or Skrill (Moneybookers). However a casino decides to list it, Skrill is available at almost all online casinos and is the second most common e-wallet provider next to Neteller. Unfortunately, because of legislation the company was forced change the way it works with customers from the U.S. 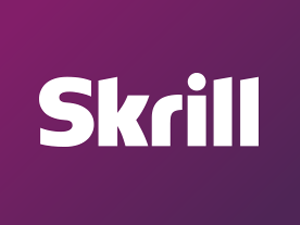 Anyone from the United States can sign up for a Skrill account, but U.S. accounts can only transfer money to and from other U.S. accounts, effectively shutting them off from the rest of the world. And since almost all online casinos are “offshore,” there are no online casinos for which U.S. players can use Skrill as a payment option, even if the casino is considered U.S. Friendly. Gamblers from the rest of the world will find no shortage of the number of online casinos willing to accept Moneybookers as a form of payment. The cashiers section of the casino will give step-by-step instructions for how to work with this instant transaction company, but in general the main form of connecting the Moneybookers’ account with the player’s email address. By entering your address you are giving the casino permission to take money out of the account. Skrill is one of the best places online to both send and receive money. When it comes time to rake in the chips and cash them in, you can choose to have your winnings transferred to your Skrill account. There are fees associated with using Skrill as a way of sending and receiving money, but the fees are competitive and kept fairly low. The company boasts of having anti-fraud checks on every single transaction, instant conversion rates for transactions that need to be made in a different currency than the player’s and constantly monitored security for all transactions. Skrill has a way of keeping customers happy. Gamblers find themselves returning again and again to this e-wallet for getting their bankroll off to the best start possible. When using this method of adding funds to a real money casino account, players have no problem with grabbing all the bonuses and promotions the casino provides. The best online casinos that accept Skrill honor all welcome bonuses and reload bonuses that are offered. In some cases, players may find they can cash in by using Skrill by receiving a little extra playing money when certain casinos offer a percentage bonus called an alternative deposit method bonus. It depends on whether or not that particular casino calls Skrill and alternative, since it is as mainstream as online banking goes these days. Below you can find a list of all the most popular Skrill/Moneybookers casinos available on the Web.